Collectible Glass Art Work Sparkles in Tropical Australia. Adventurous, Collectible Glass Art Sparkles in Tropical Australia! 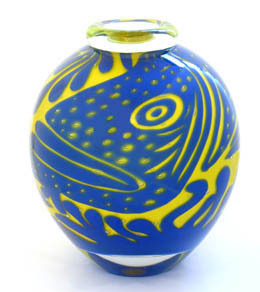 Collectible glass art work in Australia and especially tropical glass art work is a relatively recent art form, the result of the introduction of the subject into a number of tertiary art courses in the country over the last thirty years or so and influenced by a small number of glass artists from Europe and the United States of America. 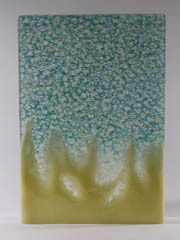 Bold and adventurous, the best of Australian glass art work appeals to collectors because of its quality and integrity. As well as exploring universal themes its hard working artists reflect the landscape and values that are especially Australian, with admirable skill. 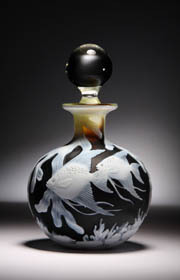 Well known glass artists include Nick Mount, Ola and Marie Hoglund, Marc Grunseit, Judith Bohm-Parr, Tim Shaw, Sean O'Donaghue, Gerry Reilly, Meg Caslake, Ben Edols, Kathy Elliott, Rob Wynne, Coby Cockburn, David Hay, Roger Buddle and the Gordon family, some of whom were represented at our old gallery, Port Douglas Gallery of Fine Art. Every two years the Ranamok Prize reveals new talent. 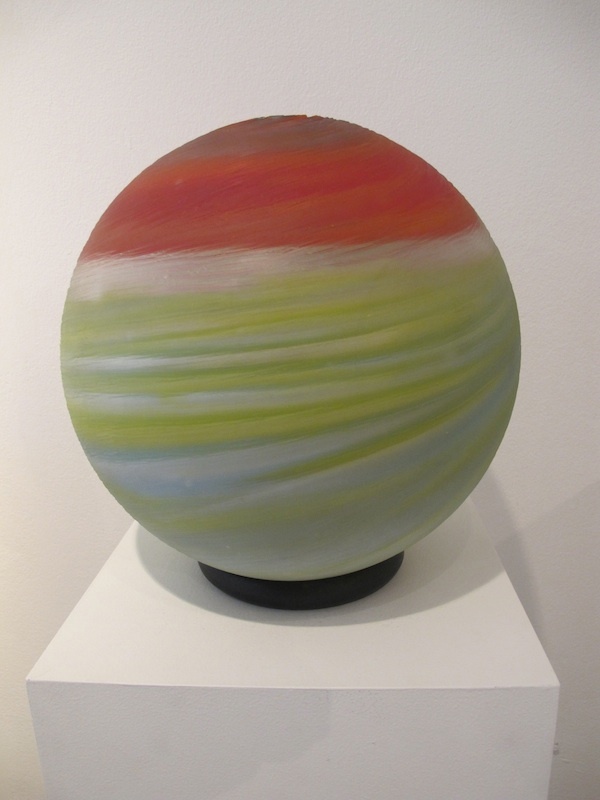 Glass art by Alasdair Gordon, Emma Camden, Lee Howes and David Hay, all represented by Maureen Cahill at her long established Glass Artists' Gallery in Sydney. 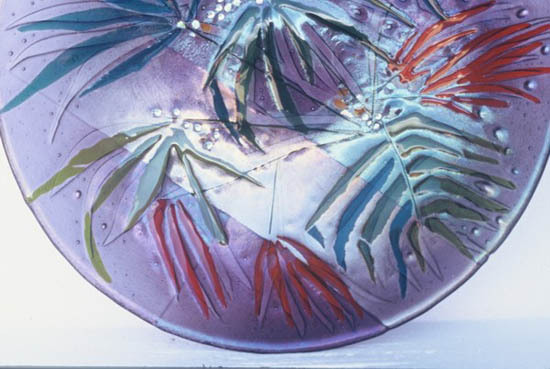 There’s something about glass art work that seems to suit the tropics. Perhaps it is the vibrancy and clarity of the colours - pure colour held in suspension, becoming contemplative ‘poems’ of light and form, which enthrall. 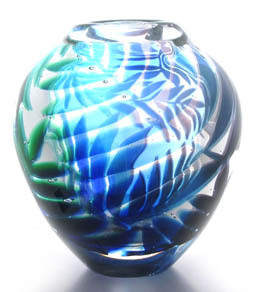 Whether formed in a glass furnace or with a blow torch to become glass wall art, bowl or vase forms, art glass perfume bottles or glass art beads for Australian jewelry, Australian collectible glass with its translucency, fragility and almost spirituality, has wide appeal. Exciting to see is the adventurous nature of conceptual explorations by, sometimes, younger exponents. Of recent times Ola and Marie Hoglund, originally from Sweden, have established a studio and home in the rainforest north of Port Douglas. They spend part of the year there and the rest of their time in New Zealand. 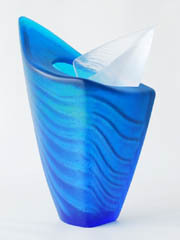 Renowned for their glass graal forms, they produce one-off pieces reflecting aspects of the tropics. Judith Bohm Parr’s studio and gallery is situated at Childers, between Bundaberg and Maryborough in Central Queensland. 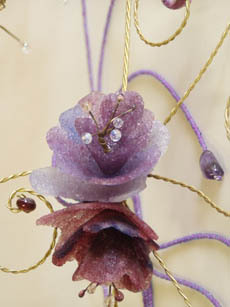 Here she pursues her interest in kiln formed glass art work, including jewellery made from pate de verre, dichroic glass and glass art beads as well as her ‘production’ Studio 8 glass art work, featuring images of rainforest flowers and Great Barrier Reef fish. 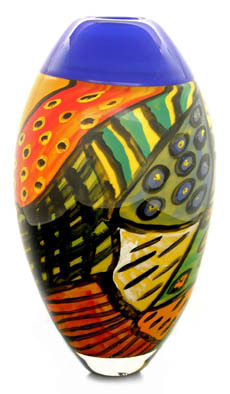 Glass artist and painter, Beat Urfer’s glass art work is inlaid into acrylic paintings to present the most unusual of highly collectible glass and painting art pieces, most of which relate stories and legends of modern or ancient civilizations. 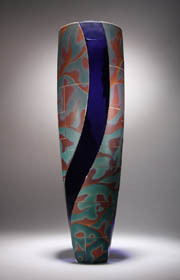 Mostly working with slumped and fused forms, that reflect her environment, Terry Eager works from her Kuranda studio in the mountains near Cairns.